When it comes to renewable energy, the projects are not only focusing on technology development, but also on promotion of renewable resources as a future energy source. One of such projects is also an idea 80days around the world in electromobile. The general idea of the race was started by Rafael de Mestre, who managed to travel around the world in Tesla Roadster. The journey however took him much longer time. Based on his experience he decided to organize a race around the world by electromobile in just 80 days (www.80edays.com). 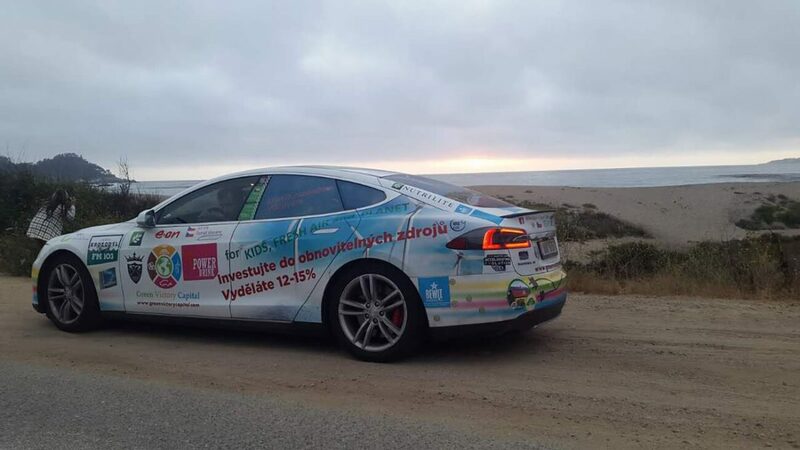 A team of young Czech entrepreneurs decided to join the race and promote the electromobility also in Czech Republic. Participating on the race is expensive, the team of Rafael de Mestre is responsible for all the promotion, conferences during the race, ocean overflights, charging in areas where now charging stations are available, but there are still other costs that needs to be covered by the participants. The Czech team therefore decided to use Czech crowdfunding portal www.hithit.com to get the financing for their participation. The campaign was available at the following website. There is also a third race being prepared for the year 2020. The management team is already gathering financing and this time they plan to use the crowdfunding financing for the whole race.